Last month we hosted a free webinar for our Network members on how to create an effective CV for your job search. We offered many tips and insights about what recruiters look for and addressed questions such as how to present your career break, whether to write a functional CV rather than a chronological one and how to take advantage of open questions in job applications. We have collected the key insights in this post, for those of you who missed the webinar. Professional Experience in reverse chronological order: state your achievements and contribution, not a role description. If you have a long career history, it's fine just to list early career role titles. Following these sections include your Education & Professional Development, Memberships and other skills/activities (fluent languages, interests etc). 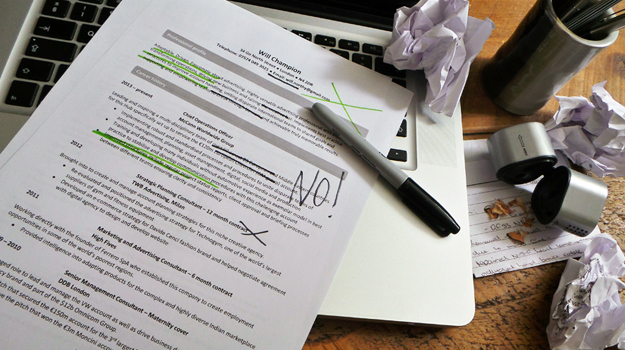 Keep your CV to two pages in length. Avoid functional CVs - recruiters don't like them because they make it hard to piece together your employment history. What expertise will you bring? How do I describe my career break? How do I answer the 'tell us about you' question on online application forms? As 97% of recruiters will reject a CV with 2 or more typos, take plenty of time to check your CV carefully and get others to read it through with a fresh eye, to spot errors you might have missed.